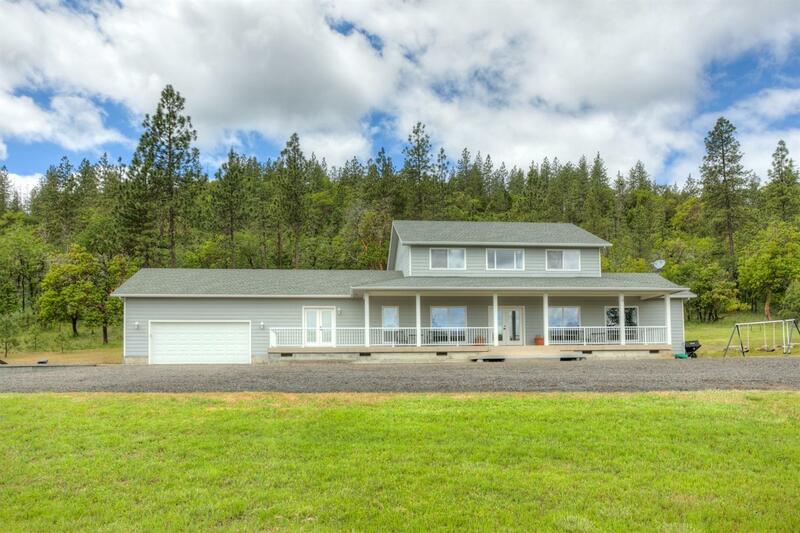 Beautifully maintained home w/ 14 acres of meadow bordering Synder Creek. Three bedrooms, two baths upstairs. Downstairs features a large living room w/ built in surround sound & tv, large bonus room w/ pool table, formal dining room, bfast nook, half bath, and additional office/den. Multiple french doors, hardwood flooring, berber carpet, storage space & more! Design your own back patio, hardscaping & large fireplace make this a fun diy design project. Beautiful meadows w/ plenty of deer, and wild turkey. Tons of space for barns, arena, shop or green houses. A truly remarkable piece of property!